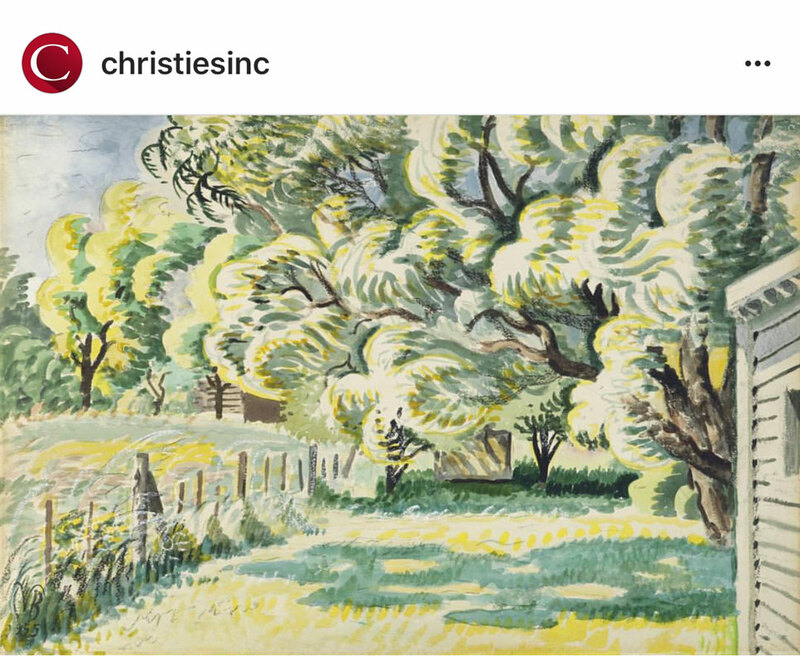 at Christie’s ‘American Art Online’ sale / open for bidding / from 17 May – 24 May, 2017.
titled: ‘June Wind’ . .
it is: 27 x 39-3/4 in / 2ft-4in x 3ft-1/4in !! though it is watercolor & charcoal & chalk on paper, but laid down on board / vs. oil on canvas. but prob very durable, if taken proper archhival care of. if you wanted to double your money as soon as you dropped it / this would be it – art world-wise. and, art world-wise . . this is small change / chump change. jump the chump, is all I can say !!! CHARLES EPHRAIM BURCHFIELD (1893-1967), ‘June Wind’, 1955. 20 – 22 MAY 2017.
and, don’t say . . I never tell you – anything !!!! $$$ blue chip $$$ !!!! !